There are three oils that are believed to be penetrate the hair: olive, coconut and avocado oils. I have had these three oils in my hair product stash for a while and I decided to try the avocado oil on my skin. I honestly can’t remember why I didn’t also try the coconut oil and/or olive oil. I didn’t use it on my face because it has a comedogenic rating of 2. Please read more about non-comedogenic oils and butters HERE. I have been using it on my body for nearly three months: I apply it on my skin as soon as I step out of the shower on freshly towel-dried skin. Afterward, I apply my lotion over it. It helps to seal in moisture and this winter, my skin has not experienced any dryness. 1. It is pressed from the fruit of avocado. Extra virgin avocado oil has a deep emerald green colour. 2. It is an edible oil and can be used in cooking and for salads. 3. It has a high smoke point. The smoke point of the unrefined form is 480 °F (249 °C) and the refined form can reach 520 °F (271 °C). Both unrefined and refined avocado oil can safely be used to do most high heat cooking including deep dring, baking, stir-fry, sautées, making barbecues & roasts. 4. It can be absorbed by the hair skin and is used in many beauty formulations because of this property. 5. Nearly 70% of avocado oil is comprised of oleic acid, a monounsaturated omega-9 fatty acid. What is oleic acid? 7. It is not as ubiquitous as coconut oil. I purchase mine online from IHerb.com *. 8. Avocado oil has also been shown to help with the control of metabolic disorders and liver function. 10. Can help to reduce inflammation and skin damage that result from ultraviolet light exposure. 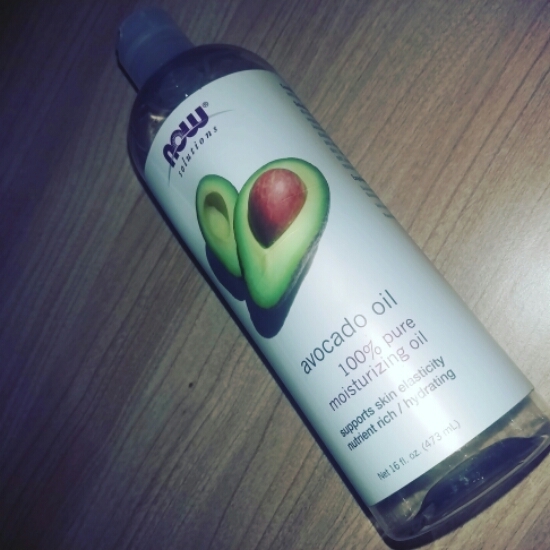 I recently used avocado oil to make a body oil mix. What are your favourite body oils? I don’t use it for my body anymore but for my hair. Pingback: Establishing your skincare routine - Get your Sizzelle on!